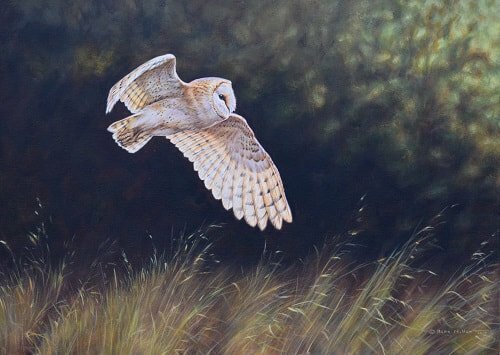 Original paintings of birds of prey for sale including hawks, falcons, buzzards, eagles, kestrels and owls. Alan has a deep love of birds of prey because he believes they are magnificent and beautiful airborn hunters. His first ever major exhibition was a collection of paintings entitled the Raptor Collection which featured paintings and prints of all the Birds of Prey that inhabit the British Isles. This made Alan a firm favourite of falconers and bird of prey lovers. Later on in life Alan built aviaries and flights to breed Owls specifically Snowy Owls, Great Horned, Eagle and Europeans and Barn Owls. Alan still has an avid interest in Birds of Prey and he watches them at every opportunity especially during the migrations. 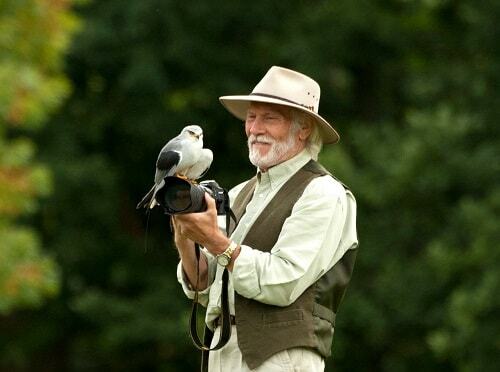 Although Alan no longer breeds birds of prey he still keeps up with the local breeding with many of his friends who are professional falconers. This provides Alan with wonderful reference material and he recently became a patron of the Lugger Conservation Programme. Founded by Bob Dalton / World of Falconry Magazine . 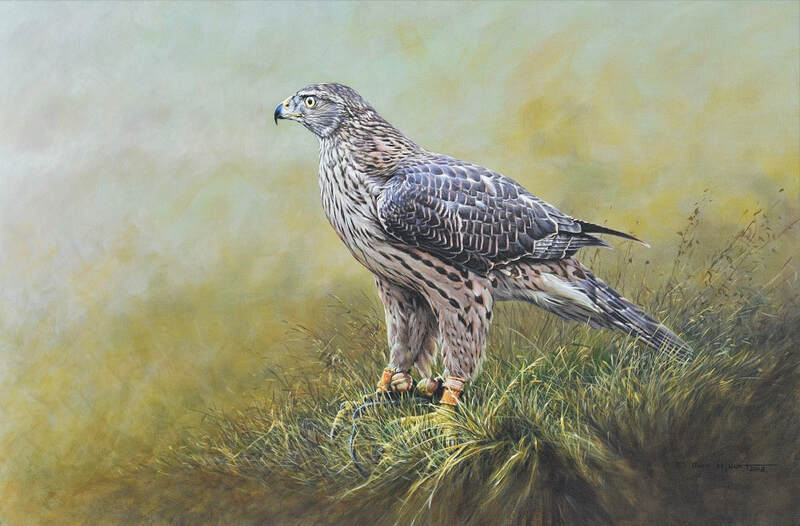 Shop for bird of prey art decor prints, posters, throws, , duvet covers, bath towels, coffee mugs, phone cases and more designed by bird of prey artist Alan M Hunt. Each exclusive bird of prey artwork product ships within 3 - 4 business days and includes a 30-day money-back guarantee. All available at Alan M Hunt's Art Shop. 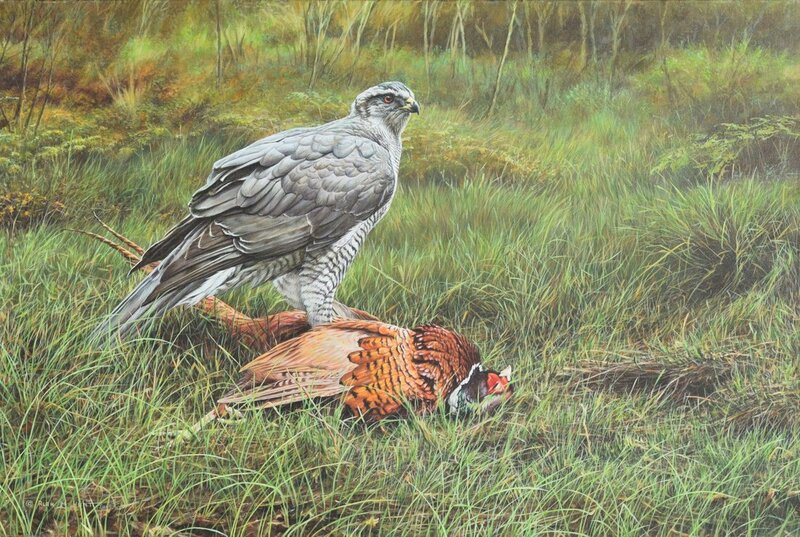 Title: Ready and Waiting - Goshawk ♀ - Limited Edition - Box Canvas Prints, Size 24" x 36" - Price £300 - By Alan M Hunt - Original painting also available £4,800. 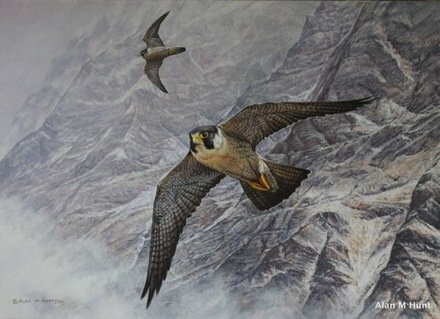 In this slideshow of Alans work you will see original paintings of birds of prey including a golden eagle, peregrine falcon, kestrel, american kestrel, lanner falcon, aplomado falcon, harris hawk and scottish perigrne falcon. 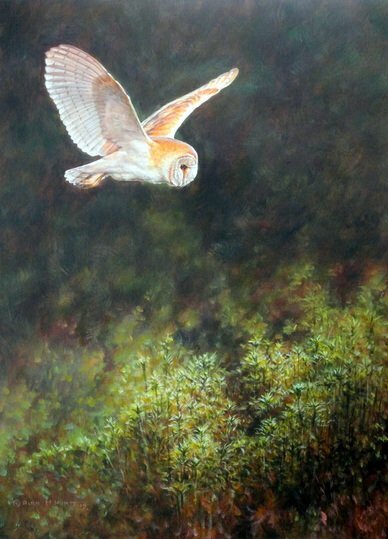 Amazing Paintings of Birds of Prey For Sale or to Buy by Alan M Hunt. Alan is a very keen Bird Watcher and when he is not painting he spend many hours in his hide photographing and observing birds or taking long walks down to lakes on local bridlepaths and into woodlands. Alan started of his very early career in painting whilst recovering from an illness and would sit in bed looking out of his window and sketch and paint all the different birds that would come into his garden.